There is no doubting that lips are one of the most beautiful features of the face. The common misconception is that lips need to be big to be beautiful. 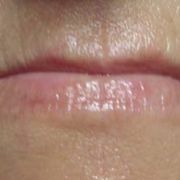 In fact, the beauty of the lip comes from the way the lip balances with the rest of the face, combined with the proportionality of the upper lip to the bottom one. 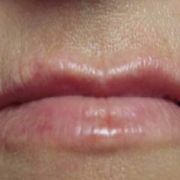 Traditionally, the bottom lip is seen to be slightly bigger than the top in a ratio of 1:1.6 for perfection. Occasionally a patient has this naturally reversed with a bigger top lip. They inspire beauty with their uniqueness. 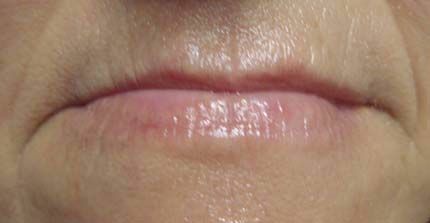 As we age all facial tissues shrink resulting in a receding of the jaw line causing the borders of the lip to concertina to produce lines around the mouth (peri-oral) and the pulp of the lip to roll inwards. This is worsened if there have been teeth removed or the patient is a smoker, or wind instrument musician. The effect is shrunken lips, which lose symmetry and cause the face to look unbalanced. The extent of restoration needed depends upon the extent of collapse seen. Without a doubt the best starter point is to restore the lip line. 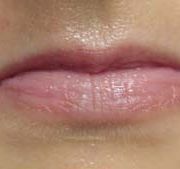 This is done through placing product into the channel that borders the lip. This restores the lips’ original, natural shape. 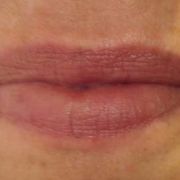 It also acts to stretch and support the peri-oral lines closest to the lip. If the peri-oral lines are especially deep or extended in length then a wrinkle filler can be placed under them to further improve the area. 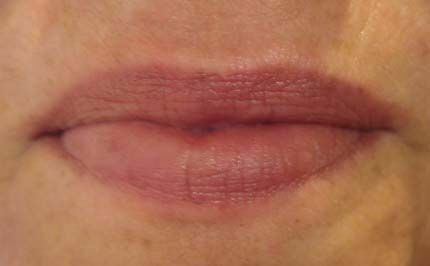 Restoration of the lip line with the standard amounts of product does not create “trout pout”. In fact, it only adds 1-2mm of increased volume. 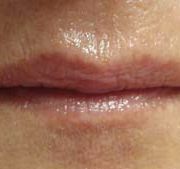 For those wanting larger lips we recommend slowly increasing the size by having the next treatment before the product is completely reabsorbed (usually at 6 to 9 months after the first treatment). Slowly increasing the size allows a more natural augmentation that is more likely to go unnoticed by friends and colleagues. 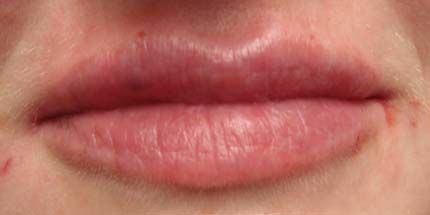 Lip Augmentation refers to increasing the natural size of the lip through the addition of a medical product. 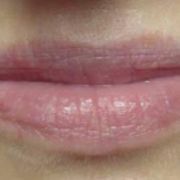 The ultimate size of the lips depends upon the original size of the lips and the amount and type of product used. Nowadays most people want a natural look that is slightly fuller. Occasionally a patient prefers to have the fuller “Californian” look (also known as “trout pout”) which is certainly achievable for most. 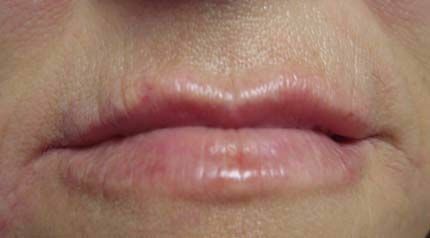 If this is the case, we recommend increasing the size over a period of treatments, which allows the lip tissue to stretch to accommodate the large amounts of filler needed. Over filling in one treatment can risk some rare side effects. 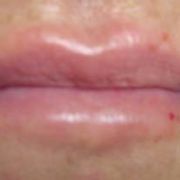 Again, the standard doses applied to the lip per treatment do not cause “trout pout”. 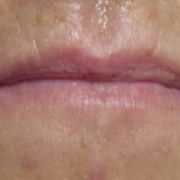 Some patients with a firm lip border can proceed directly to having product applied to the pulp to create a fleshy appearance. Nowadays pain is less of a concern since the advent of products with local anaesthetic inside. ARGERA also offers our patients additional forms of pain relief at no extra cost. Most of our patients feel minimal discomfort during the treatment. Swelling and bruising varies amongst patients from none to significant. It is not related to rough treatments but rather a predisposition to bruising and swelling by the patient. If it is your first treatment we would recommend having it just before the weekend and never within 2 weeks of a major event. Makeup can be worn the next day. Please discuss your concerns with the doctor prior to treatment as she may have some further suggestions to reduce side effects. Most patients settle within 3 days with full resolution of side effects in 10 days. Treatment results last initially 6 to 9 months and, over time, up to 18 months. 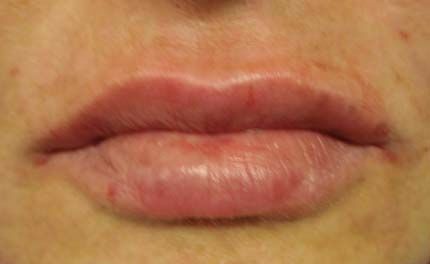 Please note that lip treatments are a specialised area of injecting and good technique, together with an understanding of the structure of the lip and facial symmetry is needed for a satisfactory result. 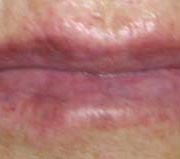 Not all injectors performing lip treatments have this knowledge or experience. To avoid disaster ensure you receive a proper consultation with a fully qualified and experienced cosmetic doctor. 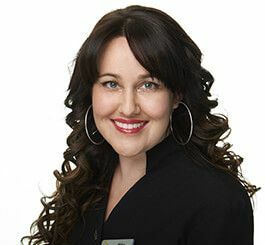 ARGERA is very lucky to have the experience of Dr Argie who was nicknamed the “Lip Queen of Perth” in the National Nip Tuck Magazine for the thousands of lip treatments she has successfully performed since 1998. 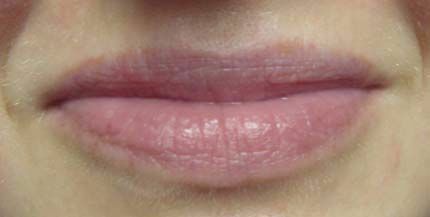 She is regularly asked by magazines to write about lip treatments and has lectured on the topic to other medical professionals. 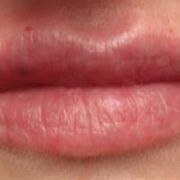 Lips are her passion and she skillfully tries to achieve the best look possible for each patient. She is particularly good at creating a natural balanced look. ARGERA stocks a range of premium TGA approved products for lip treatments and also offers a variety of anaesthetic options at no charge. To see some of the articles written by, or about Dr Argie, and various treatments click here. First time lip patients to ARGERA pay only $440 (inc GST) with our senior nurse for 1ml of premium grade TGA listed lip filler. 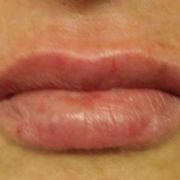 If so ask about our premier product from Europe noted for its reduced swelling and softer look!